When he’s not working, Todd likes to read non-science books and take his dog for walks in the hills and woods near his house. Todd studies chemistry and molecular biology to develop new drugs to treat diseases of the central nervous system and brain. The molecules they are working on now help reduce side effects by making drugs only active in the parts of the body they are supposed to target. When Todd was a kid, he told people he wanted to be a scientist, but he didn’t really know what that meant. Todd had a chemistry set, and he often tried different experiments and mixed together chemicals that the instructions warned not to combine. In college, Todd discovered that he really enjoyed chemistry. He had a great opportunity to work at MIT during the summer, and this convinced him that he wanted to pursue a career as a chemist. Todd chose to attend Columbia University for graduate school because he had a friend there, and it also had a good chemistry department. During his PhD, Todd was immensely impressed by his professors, and he didn’t think he had what it took to become a professor himself. After completing two postdoctoral fellowships, he was offered a job in research and development at a small company. Doing industry research at this company and subsequently two startup companies has been exciting and rewarding. Todd had a frustrating experience in which his team was trying to develop molecules that they thought would be perfect for behaving a certain way in the body. Unfortunately, they quickly realized these molecules did not behave as expected. Because this research was occurring within a business, and they had already dedicated time and resources to investigating these molecules, they couldn’t just say they were wrong and move on. Even though Todd was pretty sure these molecules weren’t going to work, he still had to go through the motions of fully investigating the molecules. Certain disorders where a patient lacks a protein because they don’t have functioning copies of the genes needed to make that protein can be treated by giving the patient the protein from other sources. While at BioMarin, Todd investigated a protein that worked through a mechanism involving an unusual amino acid. To make a lot of the protein to give to patients, they needed to get high volumes of the active protein through use of this unusual amino acid. They didn’t have the technology at the time to do this through genetic engineering. Todd made some interesting connections from reading literature papers, and he came up with an innovative way to activate the protein. He tested it in the lab with a colleague, and the first time they used this technique to convert the inactive protein to an active protein was unforgettable. Though this discovery didn’t ultimately have a huge impact on the field, it was still amazing to have done something that no one else had ever done before. Throughout his career, Todd has had many fantastic opportunities to travel for his science. Coming from a suburb in California, it was amazing to live in Manhattan while in graduate school. While a graduate student, Todd also had an opportunity to live in Japan for three months as part of a training and exchange program. He worked at a bioscience institute outside of Osaka, and it was remarkable to live in a place that was so different from what he was used to. In addition, one of Todd’s postdoctoral fellowships was in Switzerland, and it was a beautiful country with great people. He enjoyed going to the train station in his ski boots, taking the ski lifts right outside the destination station, skiing all day, and then taking the train back to his apartment in Zurich. It has been fun to return to Switzerland years later to meet with one of their scientific advisory board members there. Working with Nobel Laureates during graduate school allowed Todd to discover that these phenomenal scientists are also just regular people. A shared interest in science brings researchers together, and generally the accomplished scientists Todd has met have been really supportive, optimistic, and helpful. In terms of unusual traditions, in one of the labs Todd worked in, they studied the effects of heavy metals on the mechanisms of genetic replication. The whole group would have to get dressed up like heavy metal rock stars for group photos that they would post on the walls. In graduate school, Todd’s advisor often took all of the students out to nice places, took care of them, and enjoyed sharing stories from his time fighting in World War II. At Mercaptor, most of the group is crazy about dogs, so there are often several dogs and a plethora of dog treats in the office. Take your time. The harder you try to see the answer to something, the less likely it is that you are going to see it. Don’t focus just on science. Try to cultivate other parts of your brain as well. Work hard and try to understand everything you can, but be careful not to be constrained by everyone else’s ideas of what is best. Be imaginative, and be nice. Todd co-founded and seed-funded Mercaptor Discoveries in 2016. He is also the company’s chief science officer (CSO). 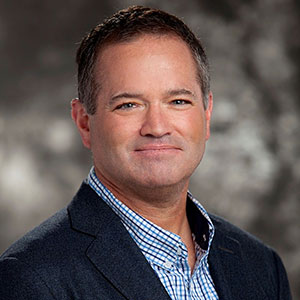 Todd began his career in drug-development as the fourth employee of BioMarin Pharmaceutical, in 1997, completing his tenure there as Senior Director of Research in 2005. Afterwards, Todd co-founded Raptor Pharmaceuticals, in 2006, acting as CSO and head of discovery research until 2016, when Raptor was acquired. A direct descendant of the discovery group at Raptor, Mercaptor is focused on proprietary molecules conceived and developed to treat neuronal injury and degeneration. Currently, Mercaptor makes drugs that respond dynamically to brain damage and disease. The molecules they have developed undergo structural modification upon encountering distressed tissue, in direct proportion to the level of pathology present. Modification activates the drug, generating known therapeutics at the site of damage, localizing treatment, and leaving healthy brain tissue unaffected.